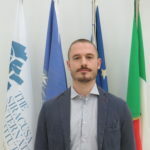 Filippo Musca joined the Siracusa Institute in 2008 as Coordinator of the Afghanistan Program and has been the Deputy Director General of the Institute since February 2014. From September 2018 he has served as the Acting Director General. He is responsible for the development and effective implementation of the Institute’s strategies, plans and priorities by directing and being accountable for the technical assistance, educational and research projects while managing and supervising the work of up to 10 staff members at the Institute. He supports the Siracusa Institute President and Board of Directors for all administrative and financial issues related with the Institute’s overall budget and the coordination of the development and implementation of agreed fundraising strategies with public and private donors. He holds a degree in International Relations and a Master in International Strategic Studies. Assia Buonocore is the Office Manager of the Siracusa Institute. She has a pivotal role in the office, being in charge of all logistical aspects while organizing workshops and conferences at the Institute. She follows and updates the agenda of the President and Director General. She keeps the office organized, makes sure the various appointments and meetings on the schedule are kept straight and manages the flow of visitors or employees who need to meet the management staff. She negotiates with vendors and performs more advanced executive functions. Occasionally, she travels in Italy and abroad accompanying foreign delegations in study visits to foreign institutions. Stefania Lentinello has worked at the Siracusa Institute as a Program Officer since 2006. She has significant experience in the organization and coordination of technical assistance projects, specialization courses, meetings of experts and high-level conferences. 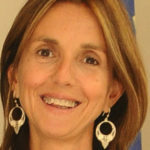 Her responsibilities include providing administrative support to the drafting of project proposals and implementation of technical assistance programs in cooperation with the European Commission and/or other international funders, comprising the mobilization of experts and the preparation of budgets and final financial statements. Graduated in Foreign Languages and Literatures with further specializations on management of the mass communication and the importance of public relations in a business, she is also responsible of the Institute’s scientific reporting, publications and library. Gabriele PULVIRENTI joined the Siracusa Institute in December 2016 as Communication Manager. He is responsible of the Institute’s communication strategy by disseminating knowledge and information on the Institute’s programs, events and areas of work. 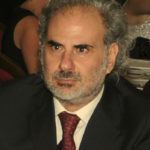 He manages the contents on the website and the Institute’s media campaigns. After graduating in political sciences with a specialization on Mediterranean countries, he obtained a second level post-graduate Master in Institutional Relations, Lobby and Corporate Communication at LUISS Guido Carli. He has a significant experience in the domain of institutional and corporate relations, communication strategies and web management. Özlem Guluzar CELEBI is a legal officer specialised in international human rights, rule of law, transitional justice and gender. 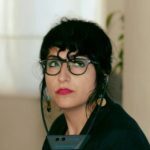 Prior to joining the Institute, over almost 4 years, she was working at UNDP in Tunis in the “support to the operationalization of the transitional justice process in Tunisia”. In the developing democracy context of Tunisia following the Arab Spring, she has supported through substantive legal expertise and technical assistance the establishment of the Tunisian Truth and Dignity Commission (Instance Vérité et Dignité) and assisted the investigation of gross crimes and violations of human rights by national specialized criminal courts and the development of an integrated system of victim and witness protection mechanisms. She supported as well the establishment of the Tunisian national mechanism for the prevention of torture (Instance Nationale de Prévention de la Torture). Tunisia is the first country in the MENA region to establish its national prevention mechanism. 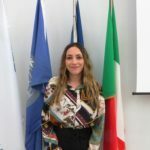 Kristen ZORNADA joined the Institute in 2018 as a legal and policy officer supporting the project on “Mechanism for Combating Illicit Trade”. Kristen has a broad range of experience working on human rights and business and human rights issues in Australian parliament, in domestic and international courts, in the private, public and not-for-profit sectors, and in academia. Kristen’s previous work has supported efforts in the field of international human rights law, humanitarian law and systemic justice, including: establishing a modern slavery act in Australia requiring certain businesses to identify their efforts to prevent modern slavery in their supply chains; developing standards for interpreters in court to promote access to justice for culturally and linguistically diverse court users; and developing a legal standard to guide parties to the Convention on Certain Conventional Weapons on ensuring the use of autonomous weapons systems is consistent with international humanitarian law. Kristen is admitted to the Supreme Court of New South Wales, Australia, and has practiced as a litigation lawyer at a leading Australian law firm. 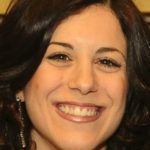 She is an associate editor of the Italian Law Journal, and holds a masters in law from Harvard Law School. Eliana CUSATO joined the Institute in November 2018 as a member of the Legal and Policy Team. She is a Ph.D. candidate in the Faculty of Law at the National University of Singapore (NUS) and a recipient of the NUS Doctoral Research Scholarship. She was educated in Milan (Catholic University, LLB and LLM), Sydney (University of Technology of Sydney), Shanghai (Jao Tong University) and during her Ph.D. she was a visiting fellow at the Grotius Centre for International Legal Studies (Leiden University). Eliana’s doctoral dissertation focuses on environmental degradation and natural resource depletion, and how these phenomena relate to violence and armed conflict. Her work has been published in leading academic journals (e.g. Journal of International Criminal Justice, Asian Journal of International Law) and presented at international workshops/conferences. 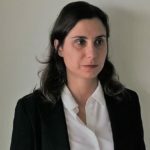 Eliana is qualified to practice in Italy where, prior to entering academia, she worked as a litigation lawyer specialising in corporate and environmental crimes. In 2011-2012 she interned at the International Criminal Court, in the Office of the Public Counsel for the Defence. Stefano BETTI is an expert on transnational criminal law and policy. He collaborates with several UN entities including the UN Counter Terrorism Executive Directorate, the UN Office on Drugs and Crime (UNODC) and the UN Interregional Crime and Justice Research Institute (UNICRI). He is currently Deputy Director General at the Transnational Alliance against Illicit Trade (TRACIT) and a member of the Global Initiative against Transnational Organised Crime. He is Visiting Lecturer at the University of Toulouse I Capitole. From 2013 to 2016, he headed INTERPOL’s legal program on illicit trade. Before then, he held various positions at UNICRI and UNODC where he provided extensive legislative and capacity-building assistance to countries on the implementation of international criminal justice treaties. He holds a Master degree in “EU Studies: EU Policy-Making” from the London School of Economics, an honor diploma in International Nuclear Law from the University of Montpellier (France) and a Law Degree from the University of Milan (Italy). He is fluent in English, French, Spanish and Italian and has contributed scholarly articles for several international journals. 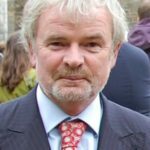 John M. SELLAR OBE FRGS was engaged in law enforcement for almost four decades, initially in the Scottish Police Service and then the United Nations. As a Detective, he investigated murders and other serious crime but also dealt with human rights abuse in Scotland’s maximum security prison. Before transferring to the UN, he was Officer-in-Charge of a police area where royal security and anti-terrorism matters featured significantly. In 1997, Mr Sellar moved to Switzerland, handling anti-smuggling, fraud and organised crime issues for the Secretariat of the Convention on International Trade in Endangered Species of Wild Fauna and Flora (CITES), ultimately becoming Chief of Enforcement. During 14 years with CITES he conducted 234 missions to 66 countries, assessing enforcement in the field and designing strategies to tackle wildlife trafficking. He was instrumental in establishing the International Consortium on Combating Wildlife Crime in 2010, a partnership of CITES, INTERPOL, the UN Office on Drugs and Crime, the World Bank and the World Customs Organisation. He has lectured extensively worldwide and his book, ‘The UN’s Lone Ranger: Combating International Wildlife Crime’, was published in January 2014. He is Senior Advisor of the Global Initiative against Transnational Organised Crime. 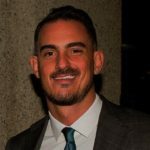 Flavio BELLIO joined the Institute in 2018 as a member of the Institute’s legal team. He is currently working on a number of the Institute’s projects with a focus on illicit trade. 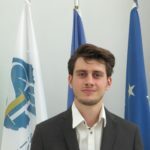 Having graduated in Law at Université Libre de Bruxelles (Belgium) with a specialization in public and international law, he is currently writing a thesis on the role of EU delegations in the consular relationships of the European Union as part of his L.L.M. in Law and Government of the European Union at LUISS Guido Carli. 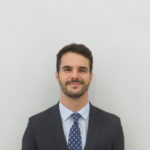 Flavio has been a research collaborator for World Bank Legal Advisor Giulio Zanetti and has significant experience in researching various topics of international law, including European intellectual property law and investment law in Asian countries. He has worked for a number of years with a law firm in Belgium. 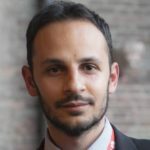 Alessandro Ercolani joined the Institute in 2018 as a Research Fellow in Institute’s Legal and Policy Team. He currently supports the implementation of the research and capacity-building projects on Illicit trade as well as the Institute’s other projects and activities. 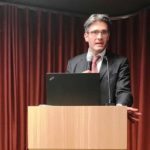 Alessandro holds a Postgraduate degree in Law with with a specialization in International Criminal Law and a Master of Laws (LL.M) in International Crimes and Justice. Over the past years he has conducted extensive legal and policy research and supported projects in the field of Human Rights and International Crimes at a national and European level. Prior to joining the Institute Alessandro was working for the International Law Unit of the United Nations Environmental Programme in Nairobi, Kenya. Mattia Perizzolo joined the Siracusa International Institute in November 2018 as project assistant. As a member of the Institute’s legal team, he supports the implementation of projects with a particular focus on illicit trade. Mattia’s main areas of expertise are international criminal justice, human rights and humanitarian law. 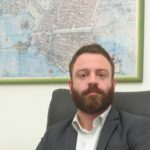 He holds a Master’s Degree in Law from the University of Trento and worked as an intern in the Human Rights and Legal Office of EULEX Kosovo and in the European Center for Constitutional and Human Rights. He has also completed the traineeship as a lawyer in a law firm in Venice. Stefania Mangiafico manages the overall accounting operations of the Institute; fulfils the requirements foreseen by the current national financial legislation and by the Institute’s regulations; drafts the annual budget and the final balance sheet of the Institute; collaborates, according to her specific duties, to the internal audit of the administrative and accounting management of the Institute; processes payments in accordance with their deadlines and deals with the bank; provides support and specialized assistance to the other offices on accounting and financial matters. 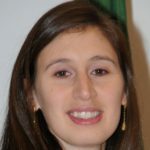 After graduating in Political Science with a specialization on political and economic matters at the University of Catania, Stefania Mangiafico has worked as an accountant for several years at an accounting firm, gaining significant experience in accounting for partnerships, corporations and cooperatives. She also has extensive experience in tax consulting and tax litigation.